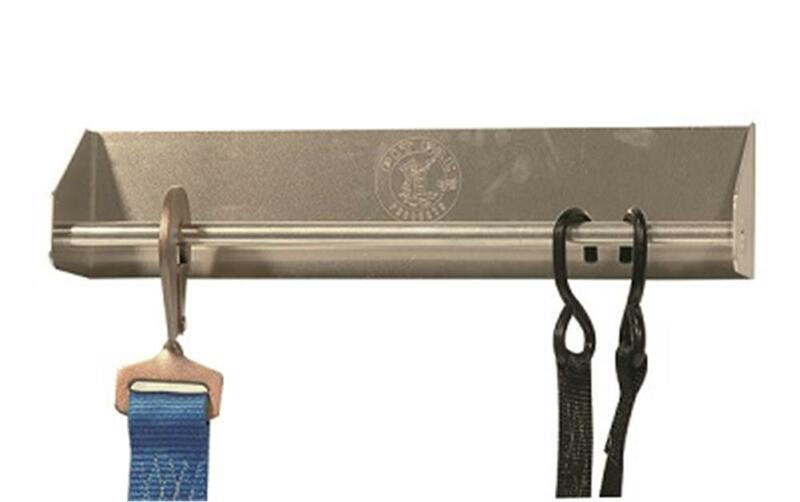 The Pit Pal 218 Tie Down Strap Hanger neatly stores your ratchet tie downs on the trailer wall instead of being bunched on the floor. This rack simply creates more floor space, keeps your tie down straps clean and safe and offers a neat presentation in your trailer. Made in the USA. Measures 18"W x 3-1/4"D.